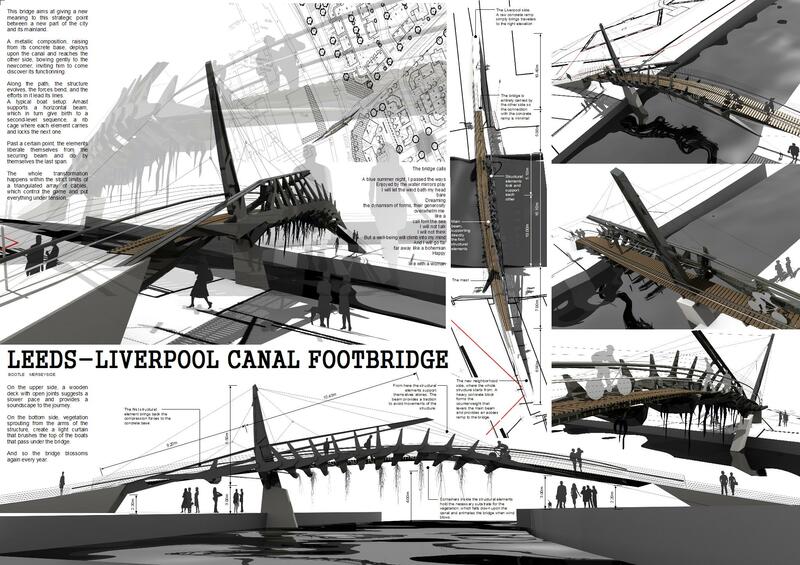 The Liverpool-Leeds Canal Footbridge competition asked to propose a footbridge in Leeds, on the canal that goes all the way to Liverpool. 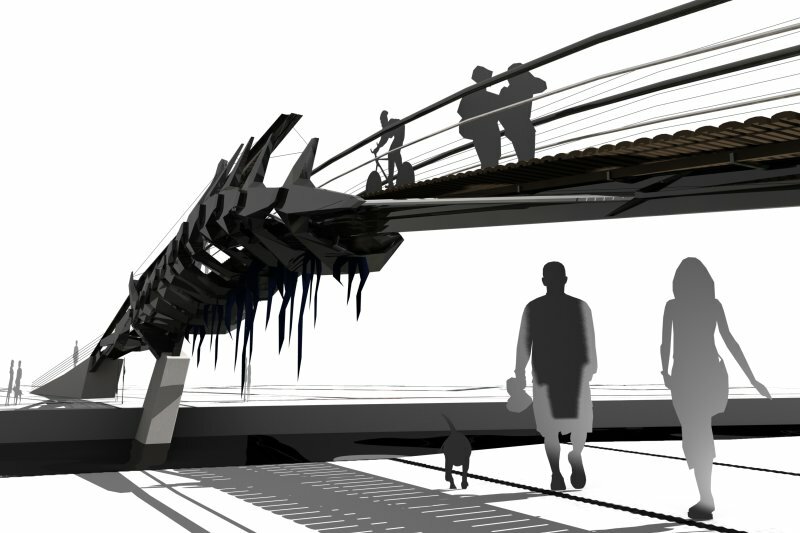 The bridge should connect two ancient industrial zones, now being reconverted into housing. 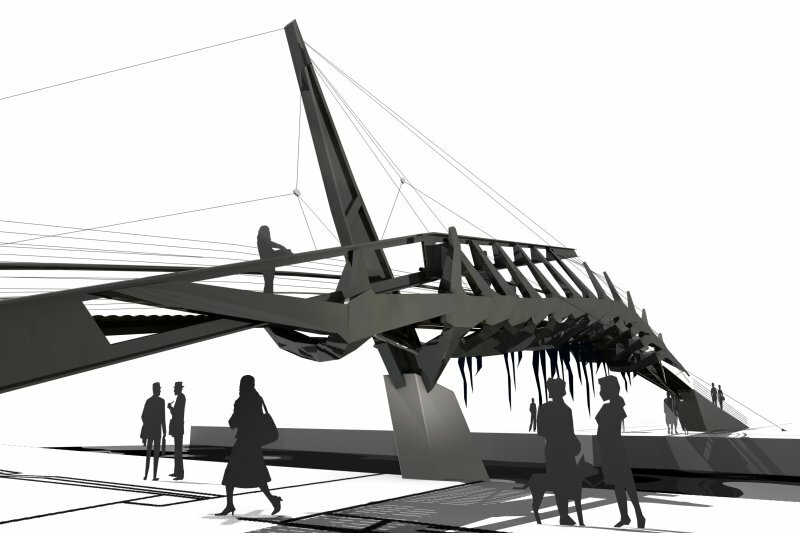 We tried to propose a strong industrial, sculptural object, that would act as a walkable monument. The new housing neighbourhoods risk to rapidly wipe out the industrial past, and we tried to propose an idea that would bridge not only the two sides of the canal, but also both past and future. 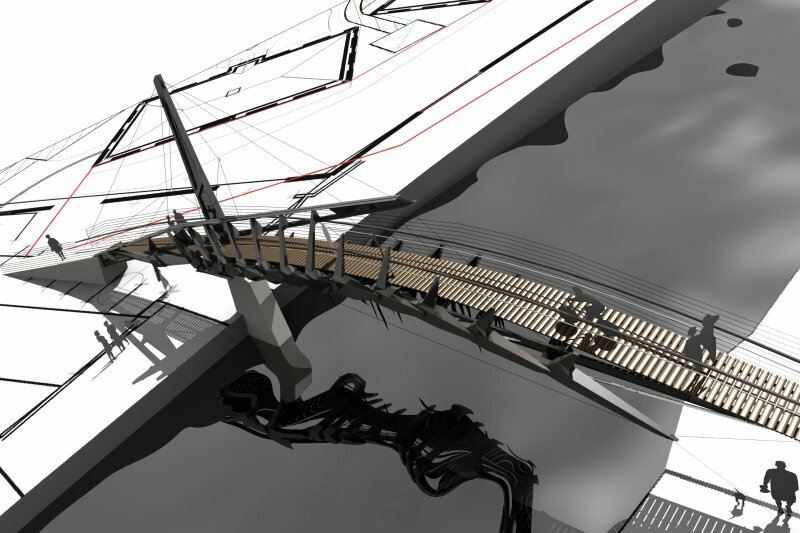 This bridge aims at giving a new meaning to this strategic point between a new part of the city and its mainland. 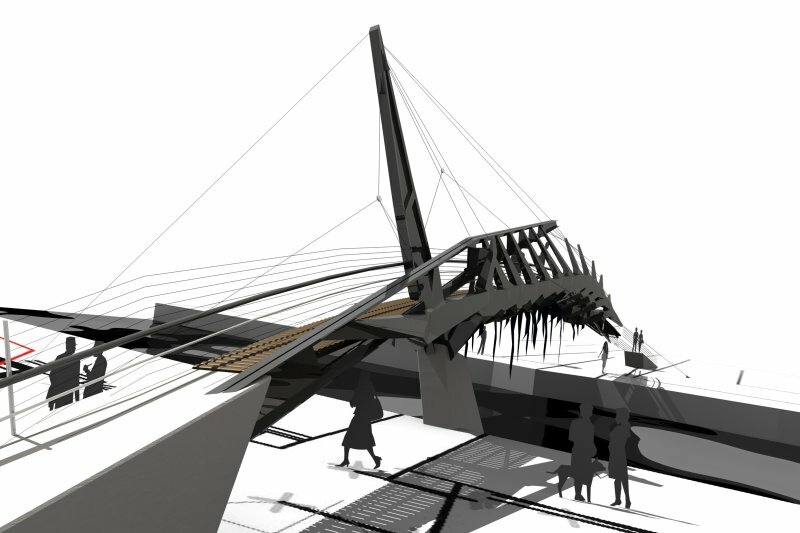 A metallic composition, raising from its concrete base, deploys upon the canal and reaches the other side, bowing gently to the newcomer, inviting him to come discover its functionning. Along the path, the structure evolves, the forces bend, and the efforts in it lead its lines. A typical boat setup: Amast supports a horizontal beam, which in turn give birth to a second-level sequence, a rib cage where each element carries and locks the next one. 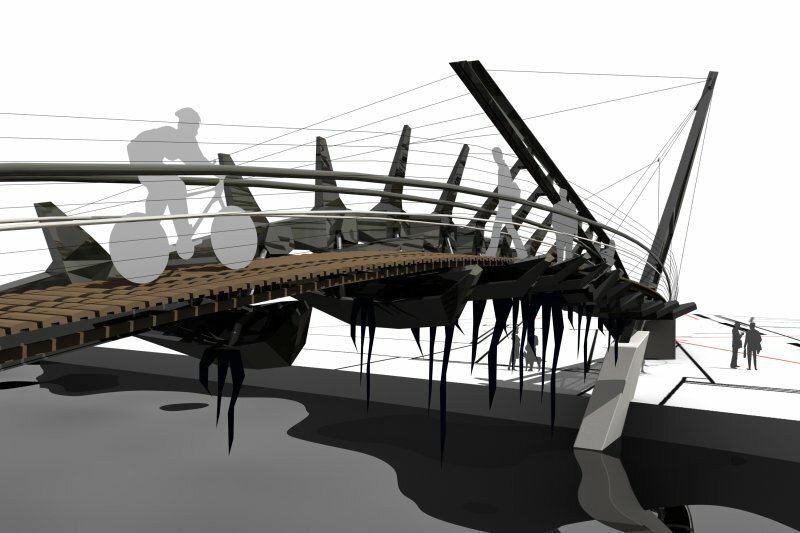 Past a certain point, the elements liberate themselves from the securing beam and do by themselves the last span. The whole transformation happens within the strict limits of a triangulated array of cables, which control the game and put everything under tension.